Zambia’s amazingly wide spectrum of mineral resources spans a range of metals, particularly copper-cobalt and gold, gemstones, a variety of industrial minerals and potential energy resources – uranium, coal and hydrocarbons. 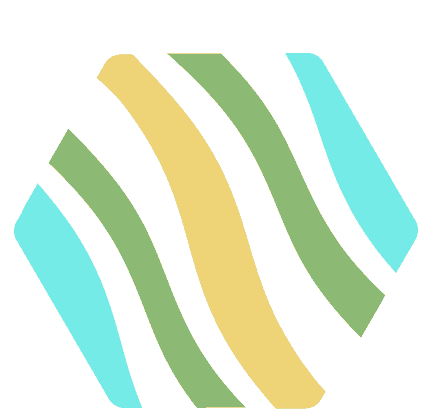 Ranging in size from world-class operating mines to small prospects, the multiplicity and variety of resources demonstrate clearly the opportunities for further exploration and exploitation. More than 300 gold occurrences have been recorded but most are only prospects; largest historical producers are Dunrobin (990kg) and Matala (225kg) in the Mumbwa area, Jessie (390kg) in the Rufunsa area, and Sasare (390kg) in eastern Zambia. Dunrobin was re-opened by Reunion Mining in 1997 as an open-pit, heap-leach operation and is producing 50kg gold per month. The majority of the deposits are lode-type bodies associated with the Mwembeshi Shear Zone and related syntectonic intrusions. 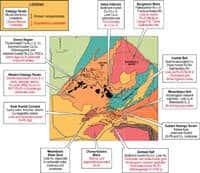 Significant gold mineralization also occurs, variously with copper and uranium, in major thrust zones near the base of the Katanga succession Minor palaeo-placer gold has also been reported in the Mporokoso Group in the Bangweulu Block. In excess of one billion tonnes of ore (c.2.7% Cu) have been mined from the mines of the Copperbelt and conservative estimates suggest that a further two billion tonnes await exploitation. The copper-cobalt mineralization is stratabound within arenites, shales and carbonate rocks of the lower-Katanga Mine Series Group. Copper resources have also been identified in the thrust zones of north-western Zambia which represent zones of detachment between Basement and Katanga sequences, and in western and central Zambia where shearing and intrusion emplacement through the lower Katanga succession have generated a considerable number of lode, stockwork, breccia and skarn deposits. Other types of deposit include the disseminated copper mineralization in the granites and aplites of the Mkushi area and copper-bearing stratiform sulfides in the Lusaka area. Carbonate-hosted Zn-Pb ore has been mined from the Kabwe deposit in central Zambia where 11Mt of ore averaged close to 25% Zn and 15% Pb. 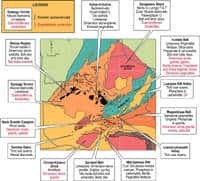 The stratabound mineralization comprises massive, breccia and replacement sulphides within carbonate rocks marking the transition from Lower Roan to Upper Roan. Similar styles of mineralization at the same stratigraphic position, some copper-rich, are evident throughout the Kabwe area and northwards to Kapiri Mposhi. Carbonate-hosted Pb-Zn has also been recorded in Lower Roan limestones in the Copperbelt and in lower Kundelungu rocks in western Zambia. Stratabound, probably exhalative, Cu-Zn-Pb deposits occur in Basement and Muva sequences of south-eastern Zambia. Substantial resources of iron have been identified, occurring primarily as sedimentary ironstones in the lower-Katanga Mine Series successions of central and western Zambia. Total resources of more than 900Mt with an iron content around 50% have been provisionally estimated, with some individual deposits up to 200Mt in size. Small, high-grade skarn and replacement deposits are associated with Pan-African felsic and mafic intrusions that have penetrated the lower Katanga succession in western Zambia, particularly around the Hook Granite Complex, but such deposits have rarely been fully evaluated. Occurrences are numerous but mostly small, occurring as tabular, probably stratiform exhalative, deposits within Basement and Muva sequences, and as supergene enrichments, either capping low-grade sedimentary accumulations or concentrated within sub-vertical fractures of limited vertical extent. Orthomagmatic nickel occurrences are known in the Basement sequences east and south of Lusaka and include one near Mpala Gorge which may be a faulted remnant of ZimbabweÕs Great Dyke. Sediment-hosted nickel deposits in Mwashia and Mine Series rocks of north-western Zambia are associated with gabbroic intrusions and often show evidence of hydrothermal enrichment. 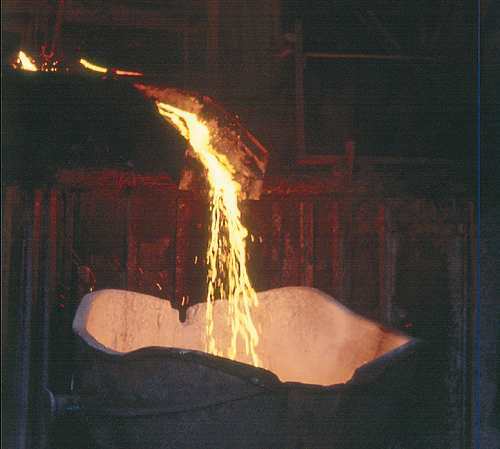 Minor platinum group elements are produced as a by-product of copper-refining on the major Copperbelt mines. Small quantities of cassiterite have been recovered from complex quartz-muscovite-feldspar pegmatites of probable Irumide age in the Choma-Kalomo area in southern Zambia. 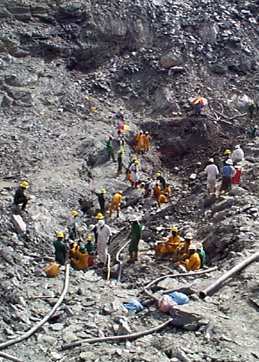 Columbite-tantalite has also been extracted in very minor quantities. 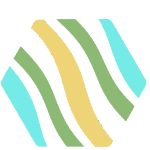 Follow this link if you want to learn something about the mining industry in Zambia. Tungsten: Wolframite has been noted in pegmatite of the Choma Tin Belt, and lode-type scheelite-bismuth mineralization is associated with a two-mica granite of early Lufilian age at Unda Unda, 80km east of Lusaka. Alluvial diamonds have been reported throughout much of northern, north-eastern and western Zambia and in many places are accompanied by indicator minerals. Kimberlite and lamproite intrusions occur within and near to the western flank of the Luangwa River and also in southern Zambia but no diamond-bearing diatremes have yet been discovered. Zambia produces about 20% of the world’s emeralds and they are much sought after due to their deep green colour. The gemstones are recovered exclusively from the Ndola Rural area of the southern Copperbelt where they are hosted by Muva-age talc schists intruded by tourmaline- and phlogopite-bearing pegmatite bodies. Aquamarine and tourmaline are mined in the Lundazi and Nyimba areas of eastern Zambia where they occur in pegmatites that were broadly synchronous with the c.486Ma Sinda batholith. Amethyst is currently being mined in the Mwakambwiko Hills near Lake Kariba where it occurs in veins and stockworks generated during late-Karoo or post-Karoo tectonism. Zambia boasts a wide range of industrial minerals capable of underpinning the anticipated growth in the mining, manufacturing and agricultural sectors. In recent years the demand for feldspar has been from local ceramic producers and also from Kapiri Glass Products Ltd., based at Kapiri Mposhi. Production has mostly come from two pegmatite deposits – a 4m-thick body of alkali-feldspar-pegmatite containing minor muscovite and quartz near Siavonga and a 5m-thick, partially kaolinized, pegmatite at Shipingu, near Kapiri Mposhi. Sands of various specifications occur throughout Zambia but the only occurrence to have been exploited is the deposit of high-quality glass sand at Kapiri Mposhi which was the basis for glass manufacture by Kapiri Glass Products Ltd., until the recent closure of the company. The sand is an unconsolidated eluvial deposit derived by the weathering of quartzites of the Muva Supergroup. The current small demand for talc within Zambia is met partly by local production but good quality white talc for the pharmaceutical industry is imported. Deposits in Zambia have not been extensively evaluated but range from talc derived during metamorphism of dolomites near Lusaka to a hydrothermally altered mafic to ultramafic intrusion, also in the Lusaka area, and talc schist occurring in the footwall of copper mineralization near Ndola. A variety of deposit-types are known, the most significant being the vein and replacement bodies hosted by red shales and marls of the Mporokoso Group within the Luongo Fold and Thrust Zone of the Bangweulu Block. Vein-type mineralization also occurs within the Irumide Belt and rare occurrences have been reported associated with the Hook Granite Complex and also hosted by Karoo sediments within the Mid-Zambezi Rift. Apatite, the most important potential source of phosphate, occurs in significant concentrations in syenitic intrusions and carbonatite bodies. Significant syenite-hosted deposits include the apatite-quartz bodies of Chilembwe, near Petauke in eastern Zambia, and breccia and pegmatite bodies in syenite intrusions near the north-eastern margin of the Hook Granite Complex. Carbonatites in Zambia are mostly related to Karoo-age rifts and very substantial low-grade apatite deposits have been noted in two of these – Kaluwe in the Rufunsa-Feira area and Nkombwa Hill at the northern end of the Luangwa Rift. Carbonate rocks are a common component of the Katanga Supergroup and also occur within the Basement Supergroup. Limestone and dolomite are abundant in the area around Lusaka and these and other deposits in the Southern, North Western, Northern and Luapula Provinces have been identified as being suitable for agricultural use. High-purity, low-MgO limestones are currently being exploited from the lower Katanga succession near Ndola on the Copperbelt. A very wide variety of potential dimension stones are present in Zambia but they have rarely been evaluated fully as to their suitability. They are mostly of igneous origin and include gabbroic and doleritic rocks of the Basement and Muva terrains in eastern and central Zambia, granites of the Mpika area in north-eastern Zambia, and the extensive granitic and charnockitic rocks of the Chipata area in eastern Zambia. A very attractive pink and green, sodalite-rich, syenite occurrence has been exploited near Solwezi, and grey and white marbles are currently being mined for export on the western outskirts of Lusaka. A considerable number of deposits of ball clay and brick clay are known but they have rarely been subjected to bench tests and firing tests. Large deposits of ball clay occur at Solwezi and at Kasanka, 60km north of Serenje, and kaolinite-rich clays have been recorded at Masuku in southern Zambia and near Shiwa Ngandu. Brick clays are exploited at an artisanal level throughout Zambia. These include graphite, gypsum, kyanite and asbestos, with moderate resources of graphite having been identified at a number of occurrences in the high-grade metamorphic terrains of eastern Zambia. A major fluorite deposit has been defined at Sianyolo in the Mid-Zambezi Valley. Basement-Katanga contact and propagated up-sequence northwards and eastwards. The Lumwana Malundwe deposit in the Mwombezhi Dome, as an example, contains some 4000t of U3O8, in addition to at least 19.5Mt copper ore at 1.4% Cu and minor gold. Zambia possesses substantial coal resources and has been producing coal continuously since 1967. The bulk of the coal has come from the Maamba coal mine, an open-cast operation in the southern part of the country near Lake Kariba. The Maamba deposit and other known coal occurrences are confined exclusively to the lower-Karoo Gwembe Formation, within the series of fault-controlled basins that comprise the Mid-Zambezi Rift Valley. The Maamba deposit occurs within the Kazinze Basin but coal seams have also been discovered in the adjacent basins. Thin coal seams and carbonaceous shales have also been identified in the lower Karoo (Gwembe Formation) of the Luangwa and Luano-Lukusashi Valleys and in the eastern part of the Barotse Basin in western Zambia. Two exploration programmes by Mobil and Placid Oil between 1986 and 1991 failed to discover oil but, of two boreholes within the Luangwa Rift Valley, one was terminated before intersecting the most favourable reservoir horizons. Considerable thicknesses of littoral and continental sediments underlain by carbonaceous rocks with oil-generating potential are present within the Karoo-age graben of both the Luangwa and Mid-Zambezi Valleys.